If you're looking to update and upgrade your make-up brush selection this is the set for you. 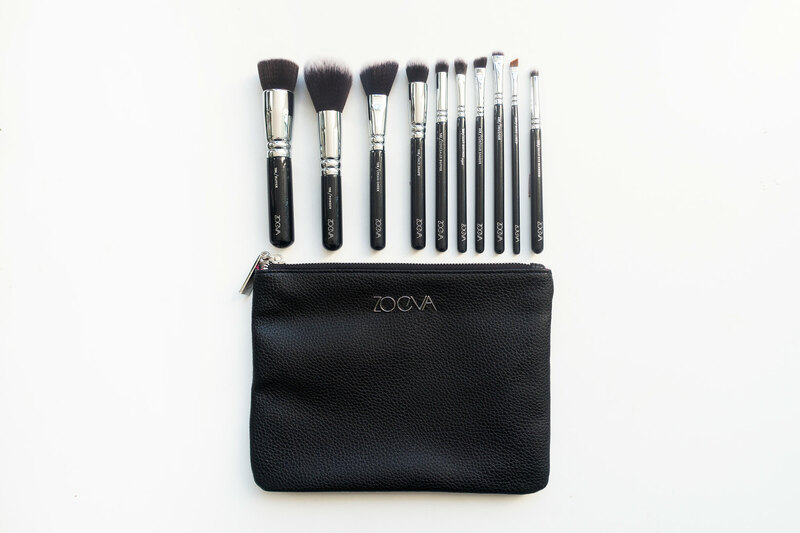 The Zoeva Vegan Prime Set contains 10 professional make-up brushes made from super soft and animal-friendly synthetic taklon bristles. The set contains the ultimate combination of five face and five eye brushes with a useful travel clutch for storing them in. For the face there is the 104 buffer brush, 106 powder brush, 110 face shape brush, 128 cream cheek brush, and 142 concealer/buffer brush, and for the eyes there is the 223 petit eye blender brush, 226 smudger brush, 227 soft definer brush, 235 contour shader brush, 317 and wing liner brush. Choosing synthetic as opposed to natural hair is often the better options for many reasons. Synthetic brushes tend to create a softer, more natural finish than natural hair brushes. They're easier to keep clean as they do not tend to absorb pigment and they're fantastic for anyone with sensitive skin or sufferers of allergies. The Zoeva vegan range is beautiful. The brushes are weighty and well designed; the bristles are super soft and gentle on the skin. Product is picked up evenly and distributed smoothly, buffing into the skin gently creating a flawless finish. The carefully selected combination of face and eye brushes provide the ideal set for professional make-up application. 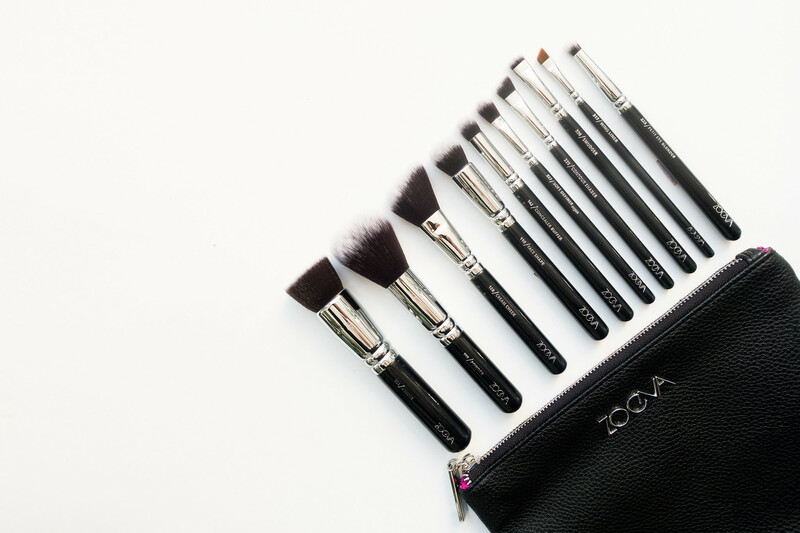 You can purchase the Zoeva Vegan Prime Brush Set from Beauty Bay.